More from V (he could start his own site). I'll let him explain the ad; "This was a commercial for underwear brand Frenchie X. Basically, the guy is trying to get some from his girl who keeps turning him down. Then, when she walks in on him and he is wearing just a pair of white briefs she apparently decides to sleep with him right there and then". 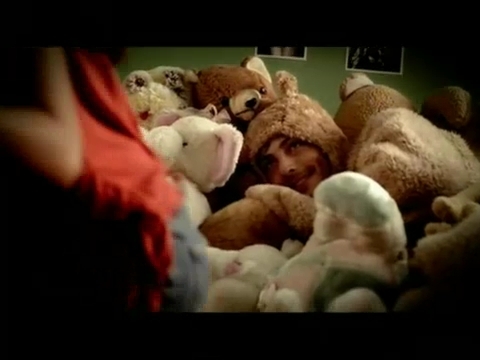 Probably something wrong with me that I would have taken him as the Teddy Bear too!